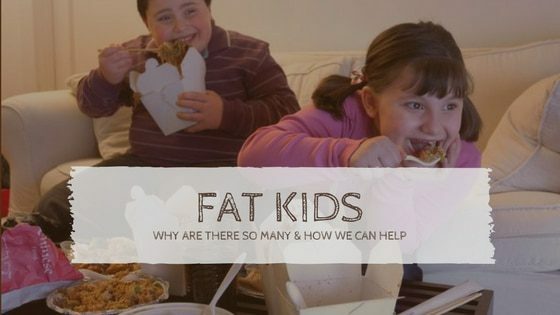 *Fat kids = kids who have an amount of body fat that’s above the healthy level, meaning there is something metabolically happening inside them which will predispose them to a long list of health conditions if they stay fat. They might be super-cute, lovely, happy & seemingly healthy kids, & their parents may seem to be doing everything right – but the bottom line is that they’re overweight & they’re unwell (or will be). We need to do something about it – overweight kids grow into overweight adults (& they don’t get much choice in the matter if they’re well on the way before their teen years). It’s gotta start with mum & dad…trouble is, we’re a few generations into this epidemic now, & kids learn their eating & lifestyle habits from mum & dad – who are often overweight due to these themselves. So…I’m just exploring a few of the reasons I believe we’re all getting so fat, & offering some tips to help the kids who are looking like joining the early obesity crowd! I’m totally guilty of many of the parenting ‘fails’ I’m going to mention here, this isn’t meant to be blaming or judgemental. The point is just to highlight where we’ve been collectively ‘messing up’ & what we can all start doing right now, to help save our kids from a lifelong struggle with obesity & all the health consequences that go along with it. What’s Happened In The Last 30 Years? When I was in school (1986-1997), there were only ever 1 or 2 fat kids in the classes. In any classroom of say 25 kids, you’d see maybe 1 or 2 kids that were carrying an unhealthy amount of excess fat. It was relatively uncommon. Anyone my age or older will back me up on that. Fatness in kids was rare, you’d see it much more in older people. at high risk of developing type 2 diabetes (many are well on their way). It’s no longer called ‘adult onset diabetes’ as so many young people are being diagnosed. more likely to die early from cardiovascular disease (Australia’s biggest killer). more likely to develop asthma, certain skin issues, arthritis, gout, liver & gallbladder disease & some cancers. physically unable to participate in activities they’d love to try. going to struggle with a tendency towards obesity for their entire life (overweight kids generally turn into overweight adults). From as young as 18mths (sometimes even younger) you see kids being introduced to ‘screentime’ on an iPad or similar device. It used to be just the TV you had to limit as a parent, but now there are highly addictive ‘portable TVS’ that kids are taking with them on outings because it ‘keeps them happy’ so parents can have lunch / do their work / talk to their friend / have a meeting / go to the hairdresser / shop in peace. Whoa – what are we training our bubs to do here?? To seek happiness, entertainment, & companionship in front of a screen? And teaching them nothing else that we would otherwise be using these opportunities & outings to teach. Some argue that devices are great to alleviate / eliminate boredom – maybe, under certain circumstances, every now & then…but remember that boredom is actually a really valuable feeling for our kids to experience, they should feel it often. It is the absolute mother of creativity in children, the ‘blank canvas’ that gives rise to new ideas. Give a few children NOTHING to do, & they’ll soon make-up something crazily creative & fun. We don’t want to deprive our young kids of this type of experience & limit chances to develop their creative skills. Kids who grow up in front of screens from a young age often seem completely lost without one when they get older. They can’t communicate as effectively, they have fewer face-to-face social skills & they can’t easily entertain themselves like kids who’ve grown up practicing these skills every day instead of just pushing buttons. Ok – the button pushers may end up better prepared for some of the tech jobs in future, but really – what kind of an excuse is that?! It’s the one I hear from parents who like to eat their lunch in peace! So screen time is not something you wanna encourage / allow in really young kids for ‘non-obesity-related reasons’ – but also think about this. When do you ever see a young child sit still naturally for more than 5 minutes at a time, unless they’re feeling unwell? Maybe some will play quietly when doing things like Lego/ blocks/cars/drawing (do kids still do those things?) But they’re not spending large chunks of their time completely motionless as they will in front of a device. And they’re not so addicted to their real-life block-building that they’ll chuck a wobbly when asked to come outside / have dinner / leave it for a bit to talk to Nanna. Try taking a favourite iPad game away from an engrossed kid – it’s scary to watch the level of addiction that such young people are developing. If your kids are still babies, don’t introduce them to device-land, hold off for as long as possible!! As tempting as it may be to just give in for your own sanity, keep your little ones away from iPads / smartphones as long as you can, at least in your home. Don’t worry, they’ll soon catch up & become tech-savvy once they get their hands on them later in life! It’s like junk food & sugar – you’re never going to be able to protect your kids from the crappy addictive food surrounding them forever, but you’ll make your life sooo much harder by introducing this stuff early. Who wants to eat broccoli when they’ve tasted cupcakes?? Who wants to play with wooden blocks when they’ve had a go at Minecraft? Supply the lego / blocks, don’t supply the devices. Because…who wants to deal with addiction & behaviour problems in 7-year-olds? 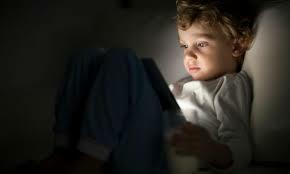 Allowing little kids to stay glued motionless to a screen for hours on end getting a constant stream of addictive dopamine hits is detrimental to their development & to their health, & constantly using a device to ‘babysit’ for you is borderline child abuse. They’ll turn into the teenagers who rarely leave their rooms cos they’re too busy gaming. (Parents of those teens argue that their teenagers are safest locked up in a room gaming, better there than on the streets…& they kind of have a point…but really, it’s still about making life easier for mum & dad & it’s not supporting the kid’s development). If your kids are already fat & addicted to games (or even if they’re not overweight), you can strike a deal with them – they can play their beloved games only on days when they’ve burnt some energy in the morning. The best time to get fat kids exercising is first thing in the morning. They won’t feel like it at first (they’re insulin resistant so not much energy can get into their cells to burn), but early morning is your best fat-burning opportunity, before food. Make it a fun outing – skate park, scooter or bike ride, group fitness class, beach walk / swim / surf / kayak / dog park, swimming pool, bushwalk, yoga together, dance in the kitchen, ball games…whatever suits the kid, just do something with them to get their muscles working (that will burn any stored energy leftover from the night & mean that when it’s all gone, they’ll have to switch to fat for fuel). They’ll feel more energetic & the more you can develop & strengthen their muscles, the better their metabolism will work. Start this ideally before they’re teenagers as it can be really hard to get teens out of bed early (or get them to do anything with you)! 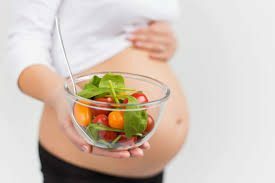 Early Food – Pre-conception, Pregnancy. One of the biggest factors in the ‘childhood obesity epidemic’ is what our kids are eating early in life – even what mum is eating during pregnancy (& before) can shape her child’s metabolism & be the starting point of a lifelong battle with obesity & disease. If you are into eating poorly – fine, you’re an adult woman & not really interested in looking after your body, that’s your choice, not a problem. Just don’t get pregnant!! That’s unfair, mean (& really quite dumb too)! No 1 – your child starts life with a huge health disadvantage that is your fault for not taking the responsibility of growing a new human being inside you seriously. No 2 – you’ll often have a much harder time with that baby / child, dealing with preventable illness & behavioural issues as they grow. No 3 – the rest of the population has to put up with their behaviour & pay for the health issues that you’ve created through negligence. Eat the best quality fresh, natural wholefood you can during pregnancy & breastfeeding, avoid the crap & know that you are literally providing the building blocks for your child’s early development. 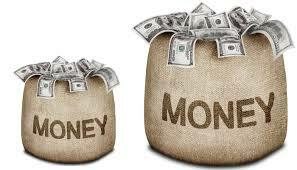 It will pay off later, plus it won’t do you any harm either! And if you don’t know the difference between good food & crap, you owe it to yourself & your unborn child to do some research / get help to understand it. And dads – you’re not off the hook, you need to eat properly & cut the crap to support your partner too, the responsibility is huge, so you can at least help out with moral support & not bringing home any tempting junk! If anyone out there is still silly enough to be smoking cigarettes (that’s mum or dad) during the pregnancy period – know that you’ll have increased your kids’ chances of becoming diabetic & obese (before it’s even been born) because you didn’t have the sense / self-discipline / care-factor to quit. Double Income Family = Double The Kid’s Kgs? There’s definitely some truth here – there’s a correlation between the rise of childhood obesity & women working more hours outside the home. I’ve been a stay at home mum, a part-time worker / mum & a full-time working mum & I know, with both parents working long hours all week, it leaves very little time or energy to put into shopping properly, food planning & preparation. You just do what is quick & easy. The ‘rush-rush’ nature of our lifestyle now means that kids may also have a higher level of baseline stress (as their busy parents will), & higher levels of the stress hormone cortisol have been found in overweight kids. Stressed out parents & kids eat more carb-rich ‘comfort’ foods & will also get less sleep (making them more insulin resistant & likely to store belly fat). Stress can start as young as the first year of life, when many bubs are placed in a daycare situation, away from their home & family for long hours each workday. An early return to work after childbirth doesn’t make much sense when you think about how nature has designed the baby-raising process to work. No matter what your opinion on women at work & stay at home dads, it’s pretty clear that the original design was for mums to be the primary carers early on, at least until 2 years of age (in countries where there is no pressure to wean early, babies normally still breastfeed until at least 2, giving them a great start nutritionally as far as gut health & immunity are concerned, as well as the stress-relieving aspects for both mum & bub). Many studies have shown that breastfeeding is protective not only against many childhood infections but also against obesity & metabolic syndrome. Might be worth staying home that little bit longer…it’s only a few years out of a lifetime. So worth it to pour your energy into building that strong emotional & nutritional foundation early on for your child. Remember home is only a low-stress environment if you’re a low stress kinda parent, you may have some work to do on yourself if that’s not the case! We don’t want to start daycare too early & train bubs to eat pre-packaged, processed ‘lunchbox food’ as a toddler, it’s bad enough that these are everywhere at school. And formula feeding should happen out of necessity when breastfeeding is impossible, not just for convenience / getting back to work quicker. Sorry again, getting our kids back to healthy = getting back to nature, & that means the first few years hanging mostly with mum. Mum will absolutely need a ‘village’ to support her through this time, so seek out fellow villagers. People who have similar values & similar aged kids to take turns with childcare, plus grandparents / aunties / uncles / neighbours etc. Following on from the breastfeeding / daycare discussion – let’s look at antibiotic overuse (the 3 are all tightly connected & relevant to obesity). Australian kids get more unnecessary antibiotics than most in the world (second only to Italy apparently) – we’re chronic overprescribers! A big cause is pressure placed on Drs from parents needing to get back to work ASAP. Kids attending daycare from an early age are prescribed more courses of antibiotics each year than their stay-at-home friends (stressful environment, lack of regular breastmilk & the immune-challenging germ-fest maybe). These antibiotics can alter the child’s gut microbiome for 2 yrs or more. 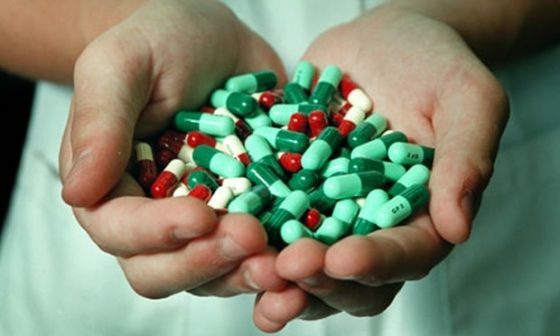 Antibiotic prescription in kids may have decreased over the past few years, due to increased awareness of the issues they can cause, & concerns about the looming antibiotic resistance crisis, but most kids in daycare (& many at home) will still be getting more than 1 course every 2 yrs, enough to potentially leave them with gut microbial & metabolic changes that predispose them to diabetes & obesity later in life. Livestock are given antibiotics to help them get heavier quicker, & it works the same with kids. Minimise infection risks in that crucial first few years by keeping them away from daycare environments while their gut-immune system is developing! Don’t rely on antibiotics as your cure-all for childhood infections, they’ll wreck your kid’s gut-immune function & they’ll be much more likely to get the next bug going around, etc etc. Educate yourself – see a naturopath or functional / integrative GP, read books about keeping kids healthy in the first place so that their immune system can deal with infections. A lot of this comes down to a good diet, exercise, sunshine, stress reduction & patience – just allowing time to rest, nurture & get back to health after an illness. If you’re dealing with a fat kid who’s been raised on antibiotics already, you’ll almost certainly need to do some pretty intensive gut work to decrease their candida overgrowth (candida – a yeast – tends to take over the gut when you kill the bacteria they compete with). People with a candida overgrowth will crave sugar like a demon (it’s actually the candida that makes you crave it – so you need to rebalance that gut so your good gut bugs crowd out the candida). Get help from a naturopath with this. Pre-packaged ‘lunchbox foods’ are a pet hate of mine, I wish we could just get rid of that whole aisle in the supermarket so kids would stop asking the parents who do make an effort for ‘normal food like everyone else gets in their lunchbox’! (By normal food they mean Nutella on white bread & chips). Fresh fruit & veg / leftover dinners can hardly compete with the brightly coloured & conveniently packaged processed, sugary, salty, artificial yumminess that is marketed to our poor addicted & obese kids. Keep little kids at home eating healthy fresh ‘adult food’ as long as practical, this is the time you need to spend training their taste buds. Also, take them shopping regularly with you from a young age (without the iPad lol) & explain that some food companies only really care about making lots of money & that they don’t care if their products are making people sick. They trick us into buying their crappy ‘food’ by making it look & taste really good, but we need to be smarter than them or we will get really sick & fat, see – like that person (point out a really atrocious trolley full of processed crap with a morbidly obese person pushing it, should not be too hard to find in the average supermarket)! Most of your shopping should be fresh fruit & veg, great to grow some yourself – esp snow peas, beans, cherry tomatoes, berries etc. So exciting to watch them grow & great for little hands. Train your kids to eat good food & keep the treats away until you’ve got a healthy palette established. They need to know that their food choices can create their bodies, their energy & their feelings, & that their ‘bad bugs’ ask for the bad foods. These are one of the biggest obesity contributors I feel. People don’t think of them as ‘food’ (calories) because they are liquids & so easy to consume alongside a meal. But they can turn a good meal into a nutritional nightmare. And they replace good calories with totally empty ones, zero nutrition & plenty of sweet poison. IF YOU DO ONE THING ONLY TO DECREASE YOUR CHILD’S CHANCES OF BECOMING AN OBESE OR DIABETIC ADULT, STOP THE SOFT DRINK. Water water water. Fresh juices with veggies in them are fine, but better still smoothies, not juices so the fibre is still there. No bottled juices, no sweetened milk, no soft drink. Just flat out none when they’re really little – they don’t need it, you’ll just train their body to crave these & create a world of unhappiness for both of you. If you say no every time, they stop asking eventually (or they don’t start until much later). Tell Nannas not to give them crap early, plenty of time for that later when it’s literally everywhere, then you’ll probably need to create some ‘occaisions’ where you’ll say yes so they don’t develop a total complex. You need to loosen the rules as they get older & start to figure out they’ve been deprived of some of the ‘yummiest’ treats in the world all their young life! Soft drinks / juices should never have a permanent place on the shopping list / in the fridge / at the table – they are for parties & special occasions etc. Don’t have them at home just staring at everyone asking to be consumed, that’s how addictions start – with a few repeated doses. At parties & restaurants, you can ask for a mix of half lemonade & half sparkling mineral water / soda water (that way everyone is happy but you’ve halved the sugar intake). You can offer sparkling water with fresh lemon or lime at home in place of other ‘fizz’. Another huge contributor to the childhood obesity epidemic. ‘But we only buy the healthy cereals’ I hear you say. LOL!! You are deluding yourself if you think there are any healthy cereals. 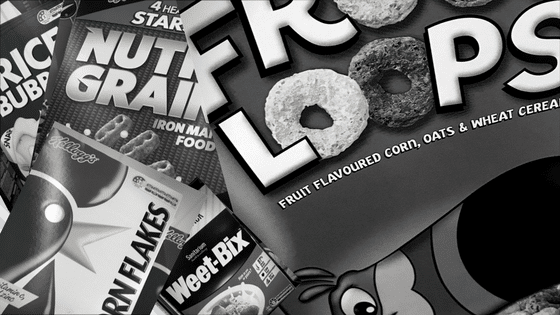 The ‘healthy cereals’ found on supermarket shelves, while lower in artificials & sugar than the ‘cereals-nobody-should-ever-buy-eat-or feed-to-their-kids’, are literally just processed lumps of carbs designed to be bathed in a soup of milk & usually topped with something else that’s also sweet. A massive insulin spike to start the day, a bowl full of nutritionally-lacking carbs with very little fat fibre & protein will mean a quick energy hit, then a dive that will mean they’ll crave something sweet again soon after breakfast. Focus on including plenty of fat, fibre & protein for breakfast, so the kid’s blood glucose stays more level throughout the day, don’t keep smashing their straining pancreas with carbs. Things like full-fat yoghurt, coconut yoghurt, natural protein powder etc can be added to porridge or smoothies, also use nuts & seeds, or try eggs, beans / lentils, check out our recipe page for yummy & fun breakfast ideas that contain loads of fat, fibre & protein nutrition. Even good quality sourdough wholegrain toast / or gluten-free if required, piled high with nourishing things like avocado, hummus, pesto, nut butter, sprouts, etc etc etc are a million miles ahead of a bowl of cereal for our poor little fat kids. A keto style approach may be worth looking into, also intermittent fasting (but get a professional to help you with these). Being so constantly connected to their devices & as a result of our too-busy, stressful lifestyles, our kids aren’t getting the sleep they need to maintain healthy metabolisms – especially our teens. Cortisol = hormonal metabolism wrecker, & poor sleep leads to higher cortisol. Studies on sleep-deprived people show that sleep is absolutely crucial to keeping us out of the diabetic / insulin resistant / metabolic syndrome state. Throw into the mix that many teens like to be out & about late at night socialising on weekends, possibly drinking a lot of caffeinated beverages, experimenting with drugs & alcohol…or maybe they’re really sporty & are up early for training every morning before school…either way, it’s highly likely there’s not enough sleep happening. Set some rules around devices, it’s actually best that you pay for the phone & the data bill so that you have good reasons to be in control of its use, i.e. agree on a time before bed where there is no more device use (at least 1/2 an hr before bed). Devices shouldn’t be plugged in to charge overnight in bedrooms, make a designated spot for everyone to charge their phone at night (parents need to make rules for themselves here too to set a good example)! High adrenaline games are a no-no before bed too, no TV’s or gaming consoles in rooms either, or firm agreements around their use. If teens are anxious / stressed out – think about magnesium baths or supplementation (magnesium is a massively common deficiency & is also crucial for healthy blood sugar metabolism). Consider magnesium especially if your teen is heavily into sports also. There are herbs that can help with sleep & anxiety as well- passionflower is a fave of mine (ask in your local health store). Massage is super-beneficial for teens too, & can help lower cortisol levels & improve sleep, even just a foot rub or shoulder massage before bed. Don’t feel like it’s entirely your fault – as parents, we can only do the best we can with the information we have at the time. You get new info, you change tactics. Just don’t ignore new info when you have access to it, & keep looking for it. The childhood obesity battle we can fight to a certain extent ourselves as parents, but it’s also got to be fought on a group level with the big food companies (who are massively to blame for this epidemic). We’re surrounded by ‘easy but not best’ options that they produce (to meet our demand, we have to take that responsibility) with regards to our diet & healthcare. These guys are pretty formidable adversaries for anyone to take on – but we can at least all give them less of our dollars each week! If you’re a fat kid or you were & have now become a fat adult – don’t lose heart (or lose it at your parents), it’s obviously not just parents that are the issue, this is an epidemic with multiple causes. There’s so much new research & knowledge out there that can help you get your metabolism back to healthy (in case you feel like you’ve exhausted all your options). A lot of it now is pointing back to rehabilitating the damaged gut ecosystem. You can change your cravings, your metabolism, your mental / emotional state just by changing your gut bugs. And as always – we have to get back to nature, we’re so far removed from the way humans should be living & raising their kids, & not just with food. Let me know if a specific ‘fatloss for kids’ e-book would be useful (I’ll write one), & I’m also interested in your own discoveries along the parenting/weight loss journey. Make a comment below or send me an email anytime. Seven of the Worst Things You Can Do For Your Gut Health! Let’s face it – we’ve seriously messed our collective gut health up over the last 50 years – excessive use of antibiotics & other medications, chemicals in our food, overconsumption of refined & junky ‘food’, lack of exposure to environmental microbes, high stress levels, huge rates of caesarean births & not enough breastfeeding…no wonder we’re all such a mess!! So whilst the damage is already done, there are a few things we can do to avoid making things worse – & maybe even improve the situation! If you’re trying to get your dysfunctional & unhappy gut back to some kind of balance – here are 5 things NOT to do (& what to do instead). Consume lollies, desserts, soft drinks, juices & sweet treats regularly. These are the favourite foods of some of the ‘baddies’ that live in our guts. These microbes love sugars & need them to survive. When you eat too much, they grow like crazy & actually compete with & kill off our helpful microbes that keep us feeling happy & healthy. They also communicate with our brain & demand that we seek out more of this type of food (they need it to survive remember) – one reason why sugar cravings can be so darn hard to ignore!! And – just a heads up, you can’t replace sugar with artificial sweeteners & expect to have a happy tummy (or lose any weight), these are some of the worst things you can put in your gut, responsible for loads of digestive discomfort, bloating & gas. They’re also mega addictive & will still screw with your blood sugar & make you fat – there’s no place for them in a healthy diet, sorry all you Pepsi Max & Diet Coke addicts! The good news is that you can take back some control once you’re aware what’s going on. You’ll need mental strength & determination to give up your sweets cold turkey, but it is the best way I believe, as it takes the least time to really feel free (amazing feeling, so worth it). At the same time, make an effort to increase your fibre (get it from veggies, legumes if tolerated, brown rice etc – not so much fruit while you’re quitting as these are still quite sugary, just use lower sugar fruits like blueberries & raspberries). You can reintroduce small quantities of fruits & even quality dark chocolate (low sugar) once you’ve got things under control & are more aware of how sugars effect your gut, your mood & your cravings. Avoid all sweeteners, refined, natural & artificial – you’re retraining your tastebuds, your gut & your blood sugar metabolism. Make sure you include loads of healthy fats & regular protein as these will help you feel full & satisfied (you’ll still be craving sugar, expect it to be really tough – but fat, fibre & protein are your friends)! PondWater (or any quality product with a good dose of aloe vera) can be a useful helper here to improve your insulin sensitivity & also to help soothe & nourish your inflamed gut. Google ‘aloe vera / diabetes’ & you’ll find some pretty awesome results from aloe given to folks with varying degrees of insulin resistance. Eat lots of bread, pasta, cakes, cereals, pastries, crumbed foods etc. These types of carbs are really just sugar arranged differently (they feed your bad bugs & get converted into blood glucose extremely quickly in your system, so will contribute to insulin resistance & abdominal fat storage, your sweet cravings & your gut symptoms). Also – these foods all contain gluten if made from wheat, rye or barley – & gluten is one of the most problematic foods for our gut-lining (we have tiny holes that let nutrients into our bloodstream from our gut, but when we eat gluten constantly it makes these holes bigger (leaky gut) so they start to let all kinds of bigger bits into our bloodstream, things that aren’t supposed to end up in there & these can cause our immune system to become excessively reactive. You may not think gluten effects you – but if you suffer from any of the following & would prefer not to – it’s definitely worth looking into: bloating, fluid retention, abdominal pain, reflux, nausea, diarrhoea, constipation, weight gain / loss, fatigue, anaemia, rashes, joint pain, brain fog, anxiety, depression, behavioural disturbances, headaches, autoimmune problems…you can even have coeliac disease & be completely asymptomatic as well – I believe it should be something everyone is routinely checked for. Just try 6 weeks with no gluten in your diet. You will generally lose a few kgs of fat & fluid as a bonus, & you’ll also be forced to find healthier (less refined carb) solutions to meals & snacks. Ie instead of a sandwich or wrap for lunch you’ll just have the salad & protein (meat / fish / legumes / nuts / seeds). Instead of cereal for breakfast (who still eats that stuff anyway) you can use a nutritious soaked seed blend with yoghurt (Blend11 or NeoBlend are good options – sorry, shameless plug), or have a smoothie with plenty of good fats, protein & fibre (throw some seed blend in there). DO NOT just go looking for gluten free versions of your bread, pasta, cakes, cereal, pastries & crumbed foods – many of these can be very unhealthy – full of additives & even higher in refined carbs than their gluten containing versions! Ask advice for some good replacements in your local healthfood store (there are some great gluten free products & then there are some really, really ordinary ones)! I speak to sooo many people each week who just feel better when they avoid gluten, you never know if you’re one of them unless you give it a good trial. I used to think the whole gluten intolerance thing was a load of crap too, but it’s not. Surround yourself with mess & chaos, take on more than you can handle, say yes to everything, overthink, take on responsibility for other people’s issues, worry about everything, drink copious amounts of coffee to cope with your workload, sleep minimally & never take a break…if this describes you & you’re not feeling 100% right in the guts THAT IS ONLY STAGE ONE, YOU’RE HEADED FOR MUCH WORSE! If you’re constantly stressed, your digestion won’t happen properly, & your gut will give you trouble – which will contribute to your anxiety & stress levels, it’s a vicious cycle that will lead you to an eventual train wreck! If you’re not coping, SEEK HELP. Change things. You have choices, you can always change your circumstances, your mindset & your actions. When we’re stressed out, our digestive system shuts down (it’s not ideal to be eating or defecating during fight or flight moments, so our hormones divert circulation & energy away from the gut & towards muscles used to fight or flee).Counselling, meditation, yoga, massage, exercise, talking things through with friends (or even strangers), scheduling regular short ’me time’ & longer periods off, away from the things that are constantly causing you mental angst – wether those things are your job, your kids, your partner, your relatives, your home environment. Do the things that you enjoy & that take your focus away from your stressed-out headspace. For some people that may be a sport, it could be art, gardening, walking in nature, playing or listening to music, whatever floats your boat (sailing is also a good one). You can eat all the quinoa & kale you like but if you’re a mess upstairs, you’ll be a mess downstairs too. Eat cereal & milk for breakfast, cheese & crackers for morning tea, creamy pasta for lunch, a yoghurt smoothie for afternoon tea & ice-cream after your dinner. Helloo – dairy overload! Calves need cows milk to survive & thrive, we actually don’t (despite what the dairy industry tells us, sorry dairy farmers). Not everyone feels crappy eating dairy – but A LOT of people do, it is one of the most common gut disruptors (right up there with gluten & sugar – these are the first 3 to quit / minimise if your gut is out of whack). Some people find they’re ok with some dairy products but not with others – i.e. A2 dairy can be less reactive, as can goats or sheeps milk products, & yoghurt & butter are generally better tolerated than milk, cheese & ice-cream. Cheeses can also vary a lot, depending on the casein content, the production method & the microbes they contain. If you never have, try avoiding all dairy products for a minimum of 3 weeks & see if you notice an improvement in your gut symptoms. This is an especially good idea if you have previously suffered from eczema or asthma or have them running in your family, also hayfever, recurring ear infections, sinus problems & excessive mucous production can be a giveaway. There are so many great dairy free options readily available these days – coconut yoghurt, all kinds of nut milks, spreads, cheeses & ice-creams. Just remember you can overdo these & I would avoid the soy options (soy is another of our top gut enemies!). Also be aware of quality – many dairy replacement products will contain a whole list of crap that you don’t wanna ingest either – look for simple & natural ingredient labels & observe how you feel when you eat them, just because they are dairy free does not mean they’ll be good for you. If you’ve never tried it, & your gut is giving you grief – do the dairy free experiment. You may notice nothing much, or it could be life-changing. If you are reacting, you may be able to reintroduce some types of dairy or use it minimally after some gut rehabilitation – but you may feel so much better you just prefer to go without. Drink several beers each evening & then several more on the weekends! They don’t call it a ‘beer gut’ for nothing – think about it. Even keen beer drinkers will admit to it making them feel bloated & uncomfortable, but – like any pleasurable addiction – the discomfort has to get pretty severe before it becomes worth avoiding the source of pleasure. 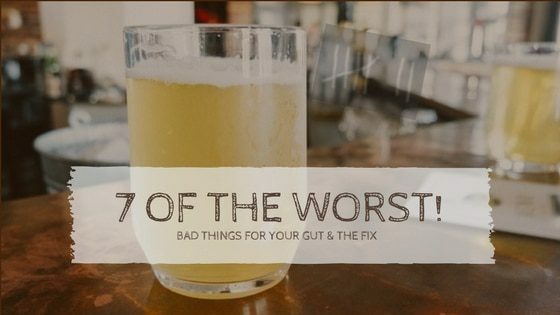 And it’s not just beer – any excessive amount of alcohol will damage your gut, I’ve actually spoken to quite a few people over the years who’ve developed a food intolerance right after a ‘huge weekend’ (likely cause: microbial devastation & gut barrier damage leading to leaky gut & consequent immune hyper-reactivity). And whilst you’re invincible when you’re young, trust me – there are many people in their 30’s, 40’s & 50’s suffering with some of the worst gut conditions who would love to be able to press rewind & take better care of themselves / drink less in their younger party years. Sorry to be boring, but moderation / minimisation is the go here. Some current research says that we can probably enjoy a daily small glass of quality red wine (emphasise glass, not bottle) & we’ll not be damaging our gut (there’s actually some polyphenol benefits for our microbes). And you might be less stressed too. If your gut already says no to alcohol, keep avoiding it, & don’t start drinking red wine now just for the polyphenols. If you do drink, keep it minimal to maintain a happy gut. If you accidentally slip up – take some probiotics, turmeric, aloe vera, slippery elm powder, stay off the gluten / dairy / sugar etc & be sure to catch up on any missed sleep. Teach yourself other ways to destress, socialise & have fun – don’t revolve your weekly fun times around alcohol. Eat really early, eat realy late, eat large meals, eat snacks in between meals, eat desserts, have a midnight snack, drink more ‘food’ in liquid form…just keep pouring food down your throat constantly. OK so here’s a big clue – the word ‘breakfast’. 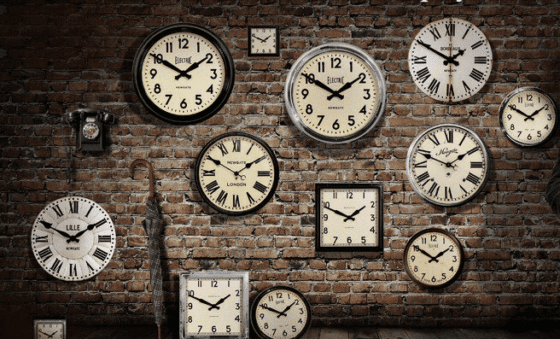 We are supposed to have a fasting period, then we break that with some food the next day (the idea is to give your gut a good rest & some time to recuperate from the days work, clean up any mess & be ready to start all over agin the next day). Consider that we used to go to sleep at dark or soon after & rise at dawn or soon after…that should leave a pretty good time for sleeping & no food (24hr fast food joints & service stations were not an option). Many people just get up early for work everyday, eat food without exercising first & then continue eating at short intervals throughout the day, until their late night sweet treat with a cuppa at 9 or 10pm. If you’re waking at 5 & eating breakfast, then going to bed at 10pm after eating something late – that leaves approx 9hrs downtime for your gut. Many experts are now saying that we do much better with a longer fasting period (13-16hrs), & less continual grazing for good gut health. Many find their gut (& the rest of their body) feels much happier when they adopt an ‘intermittent fasting’ approach – you can still eat plenty, you just have a smaller window of the day when you eat, & a longer fasting period to allow your gut & liver to really have a proper rest. This can also be a great approach if you need to lose weight or improve your insulin sensitivity. Try it by eating your dinner a bit earlier (& no snacks afterwards – unsweetened herbal tea ok), then getting up in the morning (& doing some exercise ideally), waiting until you’re actually really hungry until you first eat – i.e. try dinner at 6.30pm, then don’t eat until after 9am the next day, or even see if you feel fine until a bit later. This will be easier if you are having plenty of good fats, fibre & protein & keeping your sugars to an absolute minimum (sugar makes you feel hungry all the time). Go to your Dr demanding antibiotics at the first sign of every rash, sore throat, cough or sniffle, so the family won’t need to take too long off work / school / daycare recovering. Believe it or not, this still happens all too often in Australia – GPs feel pressured / trapped into prescribing antibiotics when they won’t be necessary or even beneficial. Uneducated patients still request them frequently (worried parents are often guilty here) & they don’t realise that opting for a course of antibiotics will actually make them or their child MUCH more likely to catch the next infection going around – their immune system will be severely compromised as well as their gut health. There are many adults who’s gut health is still recovering from the antibiotics of their youth. Australian kids are prescribed more antibiotics than most of the world: Parents be warned! Focus on prevention & you should very rarely need antibiotics (there are some exceptions to this rule, but this is true for most of us in reasonable health).The best course of action for most childhood (& adulthood) infections is to support the patient (at home, for as long as necessary) while it runs its course, whilst being in regular contact with your health professional whenever concerned. Just make sure your health professional is not a trigger-happy antibiotic prescriber (thankfully these are becoming less common now)! So…I’m sure we’re all guilty of at least one of these gut sins – I totally am. There are definitely a few more things I haven’t listed too (like not eating enough fibre of course, but I kinda mention that a lot normally!). I’d love to hear what you find is your worst gut enemy too! ?